Photos are a great way to look back on the great times you have had together. Visual snapshots of some of your best times are guaranteed to bring a smile to the face of whoever you are making the scrapbook for. And it is a huge bonus if you have any baby photos of them that you can include too! This tip requires a bit of pre-thinking but if you are as much of a hoarder as I am, it will be a breeze. To make your scrapbook a bit more interesting than just photos and words, you can include things such as tickets from events that you have attended together, special cards that they have sent you in the past or leaflets from lovely places you have visited together. Ed really loved this bit as it reminded him of some amazing things that we have done together over the years! This is another part of the birthday scrapbook that Ed really enjoyed. I asked some of his closest family and friends to write him birthday messages, like something that they would write in a birthday card, and I stuck them in with photos too. All of the messages were lovely and some of Ed’s friends even wrote him hilarious poems that really made him laugh! I think this part was actually Ed’s favourite part of the whole scrapbook as seeing all of the effort people went to in order to wish him a happy birthday made him realise how loved he really is. I guess it is like the old fashioned method of having lots of people wish you happy birthday on Facebook! As the rest of the scrapbook will include photos and memories of past times, it is a fun idea to include a part about your future plans. Ed and I want to go travelling together more than anything - we have two holidays planned for this year and after uni we want to take a year out to see the world together so I painted a watercolour map of the world and pinpointed some areas that Ed and I want to visit in the future. 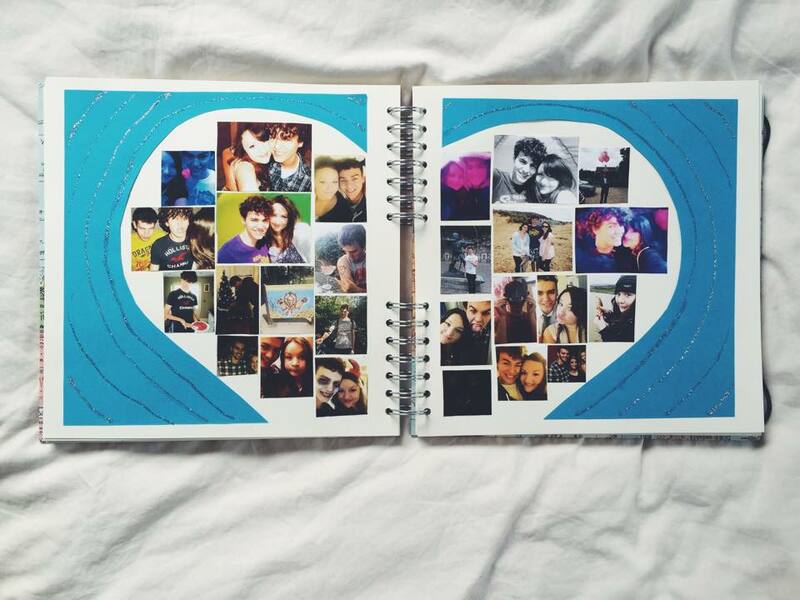 Including future plans that the two of you have together is a lovely way to finish your scrapbook! Don’t forget to leave some blank pages at the end of your scrapbook. You and whoever you are making this scrapbook for have had loads of incredible times together in the past and you will have even better times to come in the future. If you leave some pages blank at the end of the book, you will be able to stick in even more photos and memories of the great times you have together. P.S. 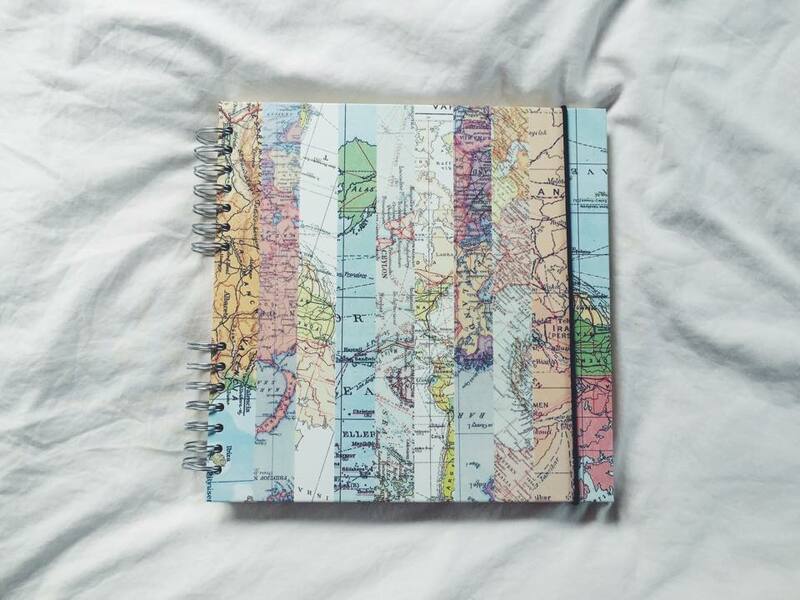 I got this beautiful map scrapbook from Paperchase, just in case you want to know!